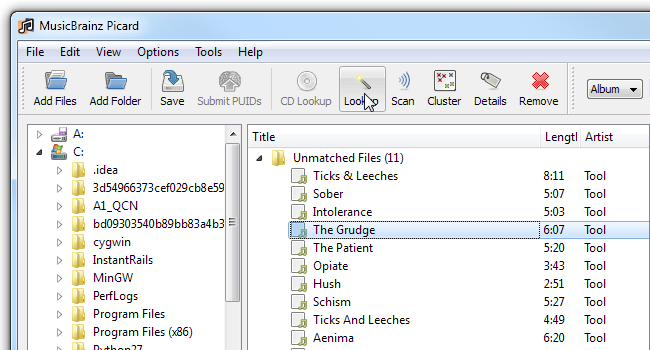 Over the years, some of us accumulate lots and lots of music files. Since these come from a variety of sources, they’re not always as neat as they could be. If your music library is in a bit of a jumble with tags missing, oddly named files and incomplete albums, read on to see how easy it is to make it neat once and for all. MusicBrainz is an online database that uses audio “fingerprints” to identify music tracks even when they’re incorrectly labelled. We’ll be using this database through a free client called Picard, available for Windows, Mac OS X and Linux. So first thing, head on over to Picard’s download page and get the installer. If you use Linux, you can install Picard using your package manager. Once you finish going through the installer, run Picard. Your firewall might pop up an alert telling you Picard is trying to access the Internet; you should agree to let Picard through. You will now see the main Picard interface. 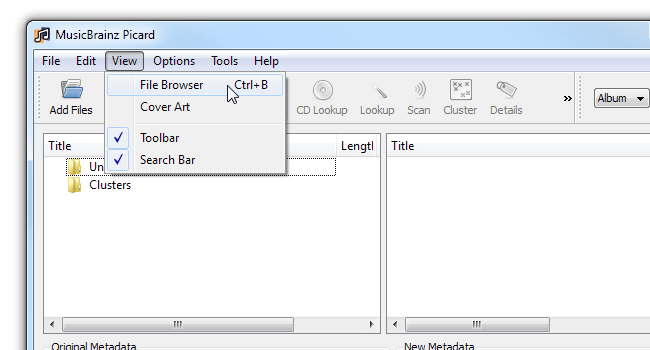 Click View > File browser (or press Ctrl+B). 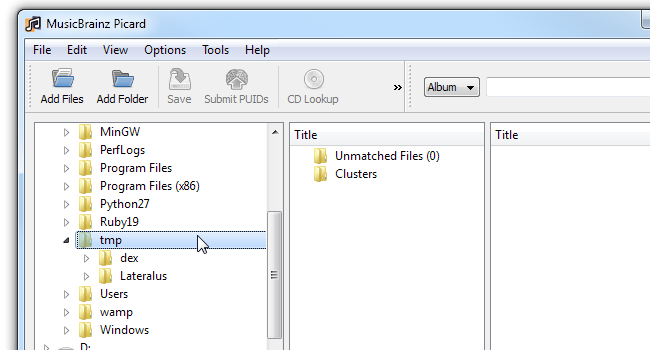 A new pane showing your file system will pop up on the left. Navigate to the music files you’d like to work with. This folder contains only two albums, so we’re going to do both at once. If you have dozens of albums you may want to break it down into several runs, at least until you’re comfortable with Picard. 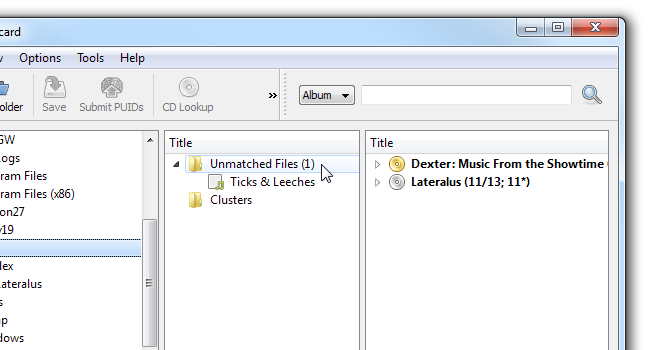 Drag the main folder (or any specific album) onto Unmatched Files. Picard instantly identified both albums. 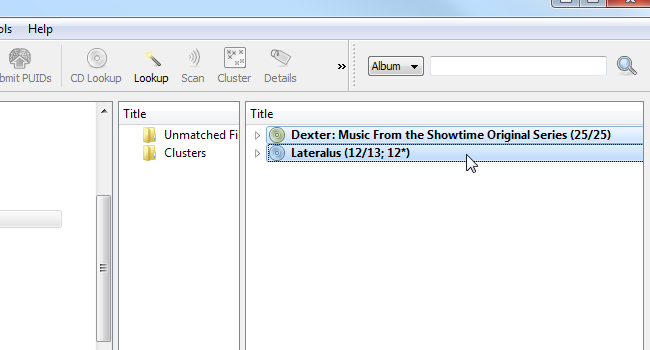 One is Dexter’s OST, and it’s shown with a golden icon, which means it is complete and we have all the tracks for it. 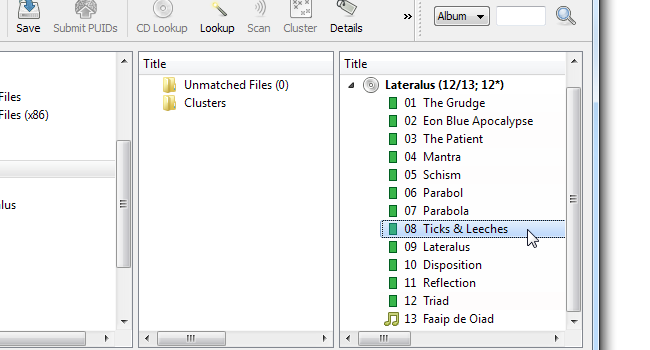 The other album, Tool’s Lateralus, is shown with a silver icon and clear notation showing we’re missing two tracks. One track was not identified. Click it and click Lookup. The track should instantly jump into the album it belongs to. The above screenshot also shows the missing track – it’s the last one, indicated by a different icon. Now that we have all of the correct metadata, we are ready save it into our files. But before we do that, we can also have Picard automatically rename the files based on this metadata. This functionality is disabled by default, but it’s very handy, so we’re going to have a quick look at enabling it. Click Options > Options and navigate to File naming. 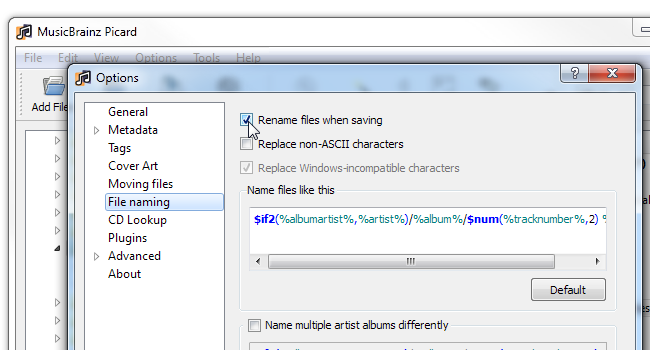 Check the box that says “Rename files when saving”. If you want, you can set how exactly Picard would format the filename. For now, we’re simply going to click OK and get back to the main screen. Now select both albums on the list and hit Ctrl-S to save the metadata into the files (and optionally rename them). That’s it! Or at least, that’s the gist of it. Picard is very powerful, and music files can be quite messy. You may come across situations not covered above, but this should be enough to get you started.